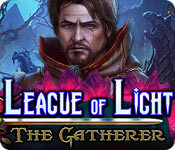 League of Light: The Gatherer is rated 4.1 out of 5 by 16. Rated 5 out of 5 by enigma5619 from League of light Light from the League are visually captivating with creative creatures well executed reasonable puzzles storylines are fun and usually different, not copies of all these games do have similarities but this group is just entertaining! Rated 5 out of 5 by rpggramma from Really Enjoyed! Like Pennmom, it started slow, wasn't impressed; but I really enjoyed this one! Map was good; no journal. HOs were few. Graphics are good. I really liked the mini-games, especially the final one. Storyline was very good, a little sad ending; but of course, a sequel is forthcoming. VERY ENJOYABLE!! Rated 5 out of 5 by Kirland from The Best Game I Played in 2016 Outstanding game. Crisp, rich colors and graphics. Beautifully drawn characters and scenes. I absolutely love this series. The game play was fascinating and drew me in. I loved that the "bad guy" was just a pawn for the real evil and that he as well as the son and father scarecrow were seeking to help the ones they loved. Gorgeous, scenes and great HO's and Puzzles. This game had me happy all the way to the end. I will be playing this one again and again. If just to look at the beautiful scenes and of course the adorable boy scarecrow. I am looking forward to the sequel. Thank you developers and Big Fish for this outstanding series. Rated 5 out of 5 by bessiegirl from Enjoyable Every now and then a creative HOS/Adventure game comes along. I have several in this series and have enjoyed them all. An easy going game with fantastic animations, graphics and voice overs. HOS were creative and fun and the puzzles you had the choice of working or skipping without waiting for a timer. Custom setting allow you to set your own speed for hint recharge to as small as 1 sec. Story was good, but has been used before but the game play was very smooth. I believe the game was about 2 hours long sans working these puzzles of which I only worked a few. Dialog could be skipped but the voice overs were so well done I didn't feel the need to "escape" them. I used a credit to buy this game but would not have felt disappointed if I had paid full price. 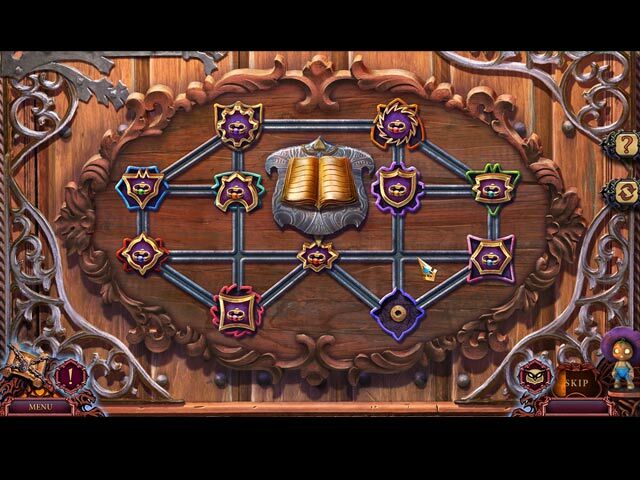 Rated 4 out of 5 by katnap123 from We get to learn who the scarecrows are... This is a fun adventure game, a continuation of its predecessor Wicked Harvest, complete with the little scarecrow helper, but a stand alone game nonetheless. If you enjoyed the Rite of Passage series, then this one's right up your alley. The HOS are all interactive and not that difficult. The mini-games vary, and some are even challenging, especially the last one, but there's always the option to skip. Enjoy! Rated 4 out of 5 by tonjadillard from Fun but... Loved it but it was short. I finished it in an less than 2 hours and I do them slow. Rated 4 out of 5 by BooksandGameFan from I really like this game! I don't know about others but I really enjoyed this game. Yes, it was relatively easy but the flow was great the scenery was very nice to look at and there was actually a storyline from start to finish! <P> It's definitely a game to buy on sale or to use a free coupon on since it's not really a long game. I don't think you will be disappointed especially if you enjoyed the others in this series as I did. I can say I enjoyed this game a lot more than I have many of the games with editors choice by their names, made by the top game designers! Rated 4 out of 5 by deddu from Save Hank Hunter and Son Fun game that moves along at a good pace with lots of mini-games (some a little hard). Good graphics and voice overs. Rated 4 out of 5 by skullfun from Another excellent Edition of League of Light... Wow...League of Light: The Gatherer is a top notch hidden object game in which you must provide assistance to a man who’s often referred to as the Hunter. The Hunter feels that his family is being followed and might be in many danger but when you decide to investigate the situation, you end up getting arrested for trespassing. Now, it is up to you to figure out why you were arrested and then make sure that the Hunter’s family doesn’t get harmed. As soon as you launch the game after installing it, you’ll be shown a brief cinematic that carries various important details regarding the plot of League of Light: The Gatherer. Once the cinematic concludes, you’ll be asked to choose a difficulty setting and after all this is done, you will finally be able to enter the game world. I knew after the opening, during demo play that I would definitely want this edition! In terms of gameplay, League of Light: The Gatherer is definitely one of the most enjoyable games in this entire series. 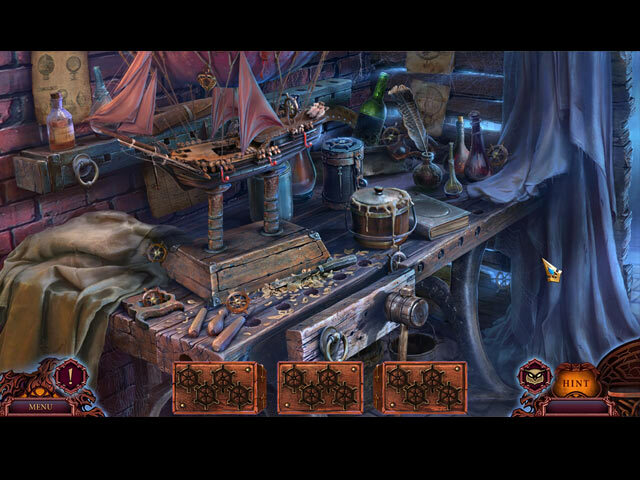 It’s filled to the brim with many excellent hidden object scenes and each one of them is quite challenging. The best part about the hidden object scenes is that there’s a very solid variety of them. Throughout your journey you’ll get to enjoy both text, silhouette and various other special scenes and almost every single one of these seems to have been fine-tuned to perfection. League of Light: The Gatherer couples its top notch hidden object scenes with a whole lot of high quality mini-games that are built to provide players with a challenge. It’s fair to say that the puzzles in this particular game are significantly more challenging than the ones we usually see in this genre which is why there’s a solid chance that you’ll struggle with a few of them. Fortunately, for situations like this, there’s a very useful skip button that players can use to completely skip through a puzzle that’s giving them trouble. League of Light: The Gatherer is great fun to play but on top of that it’s an absolute delight to look at as well. 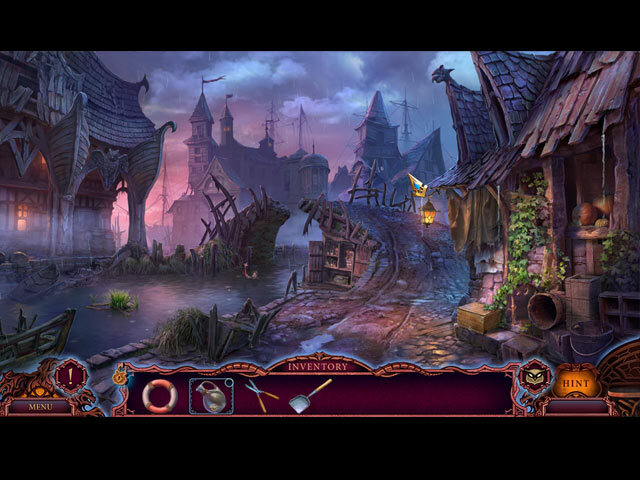 It features a refined art style that leads to some spectacular visuals and has some of the most detailed environments that we’ve ever seen in hidden object games. Alongside this, the in-game artwork is spectacular and the voiceovers are incredibly high quality. I really enjoy this series and this installment was my second favorite in the series. Wicked Harvest being first! Return to Blake's Mountain to save an innocent family!